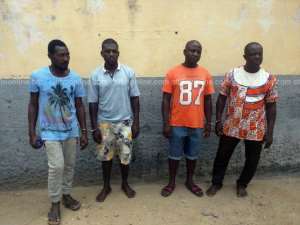 A Koforidua Circuit Court B has granted bail to the four suspects standing trial for allegedly carrying out a robbery attack on the New Juaben South New Patriotic Party (NPP) Constituency Secretary, Isaac Agyabeng. The court, presided over by her Ladyship Mercy Addae-Kotei, granted them bail in the sum of GHc 100.000 each. The suspects: Alex Owusu and Wadoski, were arrested by the police on Monday for breaking into the home of the NPP Secretary. 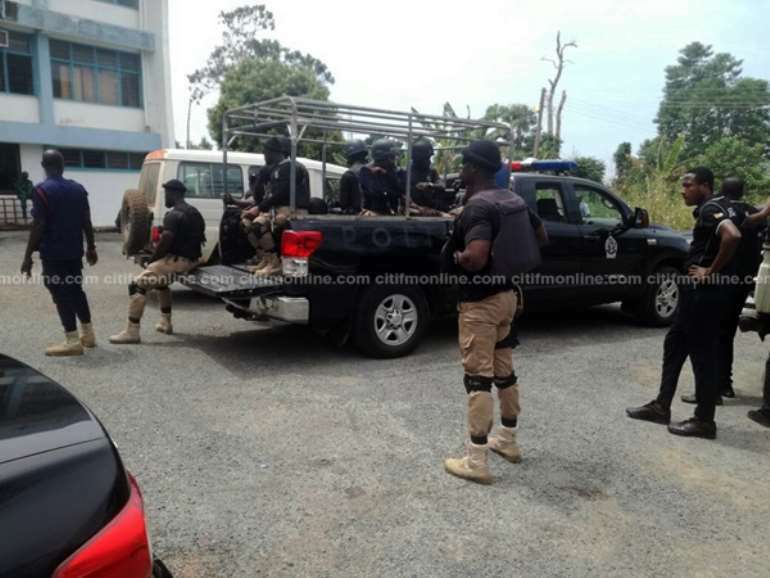 They are alleged to have stolen GHc4,000, mobile phones and an envelope containing albums and documents intended for the constituency elections. Reports indicate that they were contracted by Obeng Manu, the New Juaben South NPP organizer and one Justice Afful. Two of the robbery suspects are at large. The lawyer for the accused persons, Francis Poley, argued that his clients were not a threat to police investigations and, thus, qualified for bail. The suspects, who were charged with two counts of conspiracy to commit a crime to wit robbery and robbery, will appear before the court on March 21, 2018. Obeng Manu and Justice Afful reportedly drove the suspected robbers to the residence of the Constituency Secretary at Koforidua. According to the police, the suspects forced their way into the house, but the Constituency Secretary was not available. The Constituency Secretary’s aide, Pious Tevi, was however attacked, tied and blindfolded by the robbers. The house was also ransacked. The Police Commander said the suspects confessed that they charged GHc1,000 from Obeng Manu and Justice Afful, but the amount was reduced to GHc800 after negotiations. They also confessed to receiving GHc400 on Sunday, February 18, 2018, with an assurance of getting the remaining amount after the work was done.